PORT COQUITLAM, B.C. -- The City of Port Coquitlam says it has fired seven employees involved in a "highly co-ordinated" copper theft scheme that lasted over a decade and cost taxpayers more than $75,000. 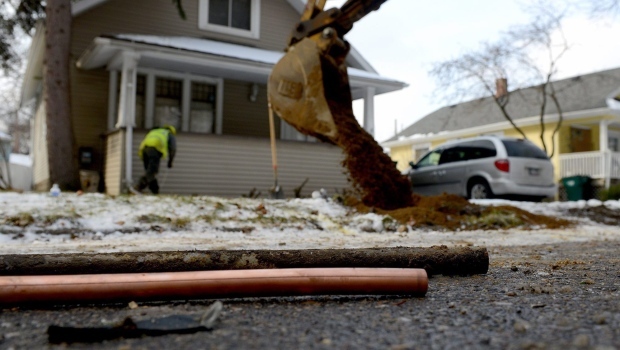 Chief administrative officer John Leeburn says the plan involved the deliberate, covert theft and sale of copper pipes, the majority of which were new pipes destined for installation underground. He alleges employees pocketed about $75,000 overall from a scrap metal dealer, with individual employees receiving cash amounts ranging from less than $100 to $10,000. But he adds the amount is a conservative estimate and the Metro Vancouver city originally paid much more for the pipes. Leeburn says the city has been investigating the scheme involving several employees with the Public Works Department since late February. He says the investigation is almost done and once it's fully complete, the information will be turned over to the RCMP. The workers have been employed with the city ranging from one year to 21 years, he says. About 500 people work for the city and those who have been there for decades know each other well, says Leeburn, adding he knows some who have been fired. "There's shock, there's anger, there's compassion, there's dismay, there's confusion about how this could happen," he says. "How could good people make such terrible decisions and repeatedly make those terrible decisions? I don't have an answer for that." As for how the scheme could go on for 10 years without the city's knowledge, Leeburn says it was very "tightly held, not talked about." The dismissals come after another former Port Coquitlam employee was charged with theft last year. Dean McIntosh, a former facility maintenance co-ordinator, pleaded guilty to stealing about $175,000 from the city over a three-year period. The city says in a statement that it implemented a number of measures after McIntosh was charged, including a whistle-blower policy in November. The policy aims to create a safe environment for staff to come forward with reports of internal misconduct. Leeburn stresses that the employees' alleged actions don't reflect the character of the vast majority of city workers. "We have terrific people in this organization who provide terrific service to the community, and I really want to say to the people of Port Coquitlam: Have faith in us. "Please don't let the actions of a small number who have made some bad decisions tarnish the great work that's being done."